JOSHUA TREE movie | What happened to American Dream? Set in the USA heartland following the 2008 economic collapse, a suburban mother struggles to hold onto the American dream. Joshua Tree – socially conscious, referencing neorealism, universal themes of family, honesty, loss, hope, redemption..
Release coincides with the USA presidential primaries, where the key debate centers on: how will we care for each other? what kind of people will we be? 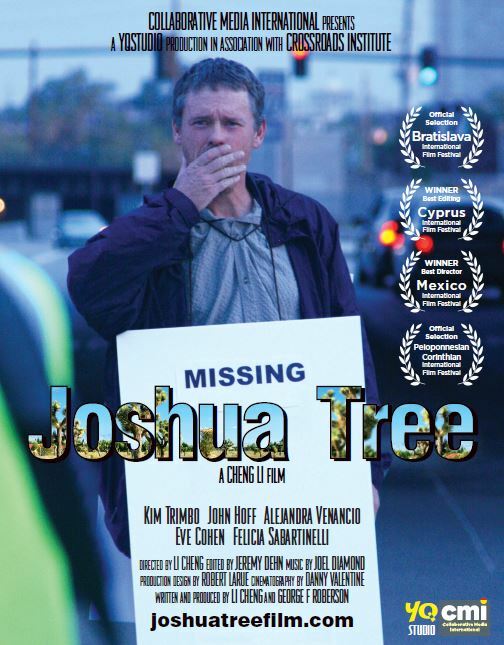 Joshua Tree – American dream at the crossroads, a family’s struggle..
Synopsis. Set in the USA heartland following the global 2008 economic collapse, Kate, a recently divorced suburban mother of two young girls struggles to hold onto the American dream. Facing home foreclosure, an inhibited and dysfunctional family, she finds herself with few opportunities and desperately seeks solutions. Connections of family, friends, work-place, business, media and community are explored in turn, and her father, Alan, faces an especially painful search for redemption. YQstudio, LLC. © 2014. All rights reserved.